Should you wish to discuss how Brexit affects you and what to do in response, please contact your local Herbert Smith Freehills contact. Our report is designed to help business leaders understand and prepare for a sharp shift in the UK’s relationship with the EU: hard Brexit. The UK’s vote to leave the EU brings with it the possibility of so-called ‘hard Brexit’. Understanding the various changes, analysing the risks and working through potential solutions will all be essential to help firms prepare for a post-Brexit future. 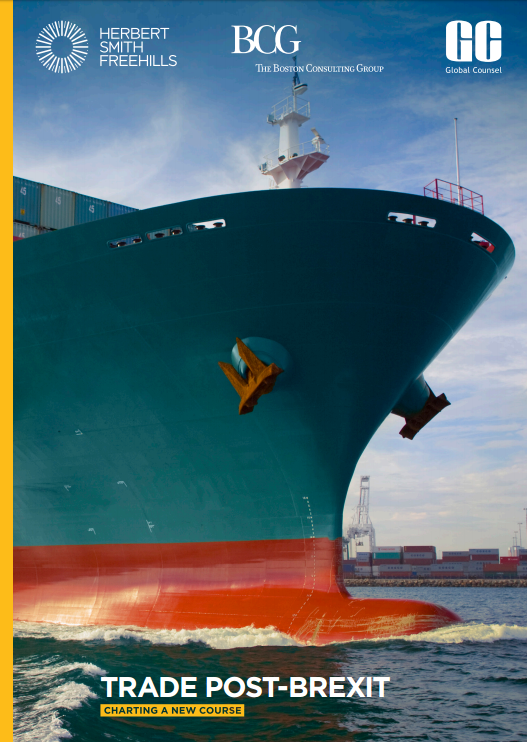 This report, in collaboration with The Boston Consulting Group and Global Counsel considers the potential impact on trade in goods and services if the UK left the EU single market and the EU Customs Union without any new trade agreement in place. Regardless of the eventual outcome, planning for a hard Brexit scenario provides businesses with a baseline to see most clearly the potential impact of the possible changes and to make corresponding plans of action. We believe a measured and methodical response to the questions raised requires legal, regulatory and supply chain analysis, political and policy insight and strategic advice and implementation. Should you wish to discuss how Brexit affects you and what to do in response, please contact your local Herbert Smith Freehills contact. This report, in collaboration with The Boston Consulting Group and Global Counsel analyses the implications for the UK and the EU27 to help business leaders understand and adapt to what comes next. Following the General Election, the nature of the future UK-EU relationship remains uncertain. 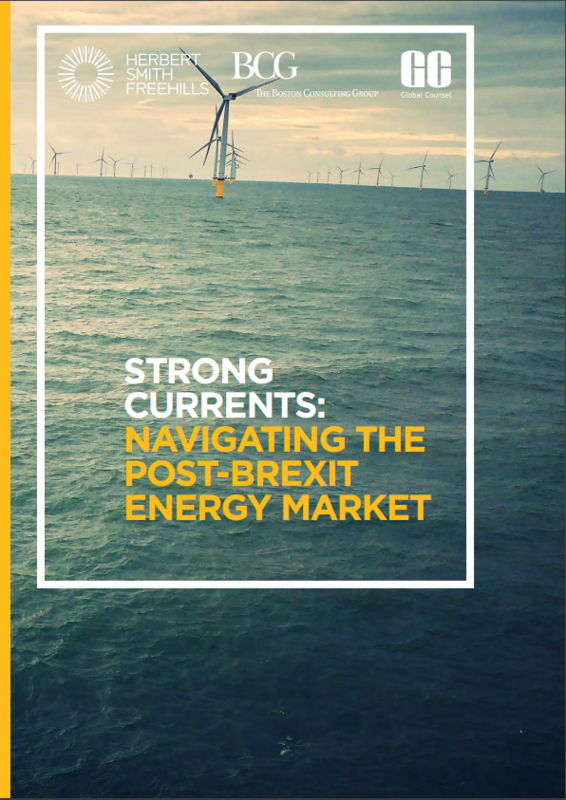 However, for the energy sector our collective analysis demonstrates that under Brexit, the status quo of remaining in the internal energy market is highly unlikely. The challenge for the sector is to understand and adapt to what comes next. 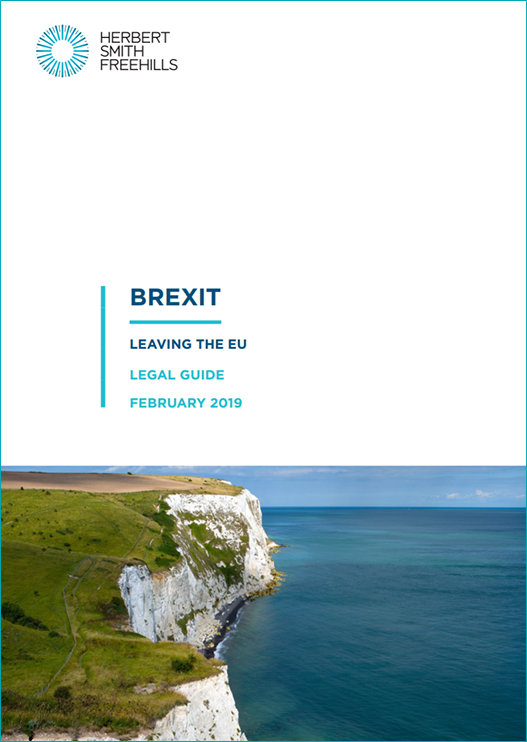 As a result of UK political commitments to leave the jurisdiction of the European Court of Justice (ECJ) and to impose greater controls on immigration, the UK now looks set to leave the single market, and as a result, the internal energy market. The economic and commercial incentives to sustain, and potentially increase, energy market integration through physical electricity and gas interconnection are strong for both the UK and EU. However, policymakers will now have to find ways to do so which are politically acceptable to both sides, but governed by new institutional arrangements. Beyond the physical integration of energy markets, Brexit raises significant questions for the UK. How will the UK source, and trade in, nuclear materials outside of the Euratom treaty? How will the UK approach security of gas supply as an EU ‘third country’? And how will the UK price carbon emissions once, as seems likely, it leaves the EU-ETS? For the EU27 too there are significant implications. The UK’s imminent departure will influence the future direction of EU policy in areas from nuclear energy to shale gas to international climate negotiations. The situation now facing the Irish cross-border Single Electricity Market is exceptional in its complexity. This report is designed to help business leaders understand the range of Brexit impacts on the energy sector, and in doing so prepare to take advantage of the opportunities which may arise, as well as mitigate the risks. But it also aims to help businesses understand the role they may play in shaping the outcome of the Brexit negotiations. Ensuring that business retains a strong voice will be critical in ensuring that the outcome of negotiations is beneficial for both the EU and the UK.